A land and property specialist firm has secured a new contract with The Landmark Trust to play a key role in upgrading some of Scotland’s most famous historic buildings. The commission will see Perthshire-based Bell Ingram lead the upgrading and maintenance of a portfolio of 19 renowned properties across Scotland, including The Macintosh Building in Perthshire and The Pineapple building in Dunmore. The project also coincides with the airing of ‘Restoring Britain’s Landmarks’ – a new Channel 4 series offering behind the scenes access to The Landmark Trust and documenting two of its renovation projects and their history. The six-part series follows the Landmark Trust’s restorations of Belmont in Lyme Regis and St Edward’s Presbytery in Ramsgate and explores the stories behind many other extraordinary buildings in the organisation’s collection. Susan Burness, Director of Bell Ingram Design and RIAS Accredited Conservation Architect, said: “This new contract with The Landmark Trust is a significant win for all of us at Bell Ingram and we are delighted to be involved with the conservation of some of Scotland’s most famous landmarks. 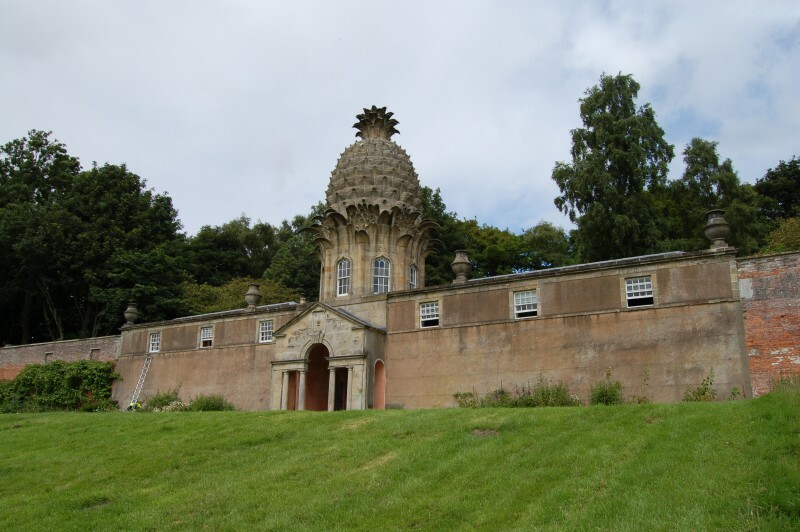 “We are, at the moment, working on four projects for the Trust: Ascog House on the Isle of Bute and Auckinleck House in Ayrshire, as well as The Macintosh and Pineapple buildings. The Landmark Trust is a British building conservation charity founded in 1965 that rescues buildings of historic interest or architectural merit and makes them available for holiday rental. The Trust cares for nearly 200 buildings across Britain and several in Italy and France.